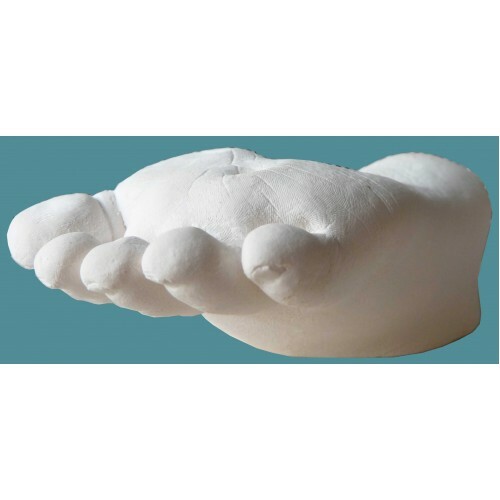 A perfect way to begin life casting, this 6 cast starter kit is very reasonably priced, it contains enough materials to create and paint 6 baby casts (for a baby under 1 year), 3/4 casts of an older child or 1 adult hand, due to using more material for larger casts. This kit is beautifully presented in a gift box with pretty tissue paper and is perfect as a thoughtful gift. It contains everything you will need to start life-casting including impression and casting powders, Gold and Silver paint, paintbrush, casting bags, plastic cups, stirrers, cocktail sticks and full easy to follow instructions, perfect to experiment and see which colour works best for you. Gift wrapping is available for a small extra charge via the drop down box. All presented in a gift box. This price is inclusive of VAT and we also offer FREE UK MAINLAND POSTAGE and subsidised posting to all other areas. This is our stunning Gold, box-framed, complete baby casting kit with name space inclues a striking ..
Our large, luxury 12 cast starter kit, an ideal luxury baby casting kit to produce up to 12 complete.. 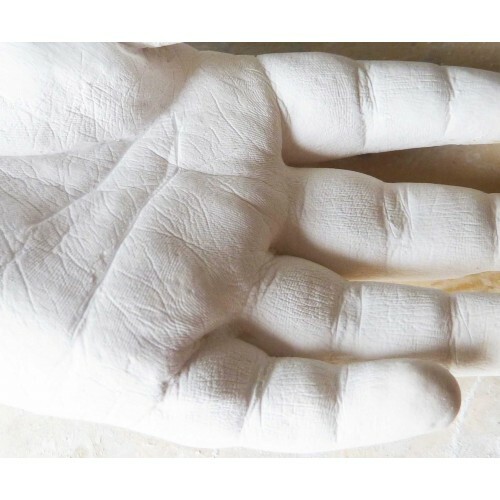 These refill kits consist of just the alginate impression powder, casting powder, extra stirrers, st..